Conversions are all about psychology. There are multiple emotions that pull at us throughout the buying cycle. Some may be affected by price, by value, or by quality. Some, on the other hand, are the re-affirming and pressuring psychological factors that will make the difference between a sale or a bounce. Unfortunately, most sites overlook these factors. These sites either fail, or never reach the top of their potential. The two main psychological factors that will inspire a purchase, sign up, or register are credibility and urgency. 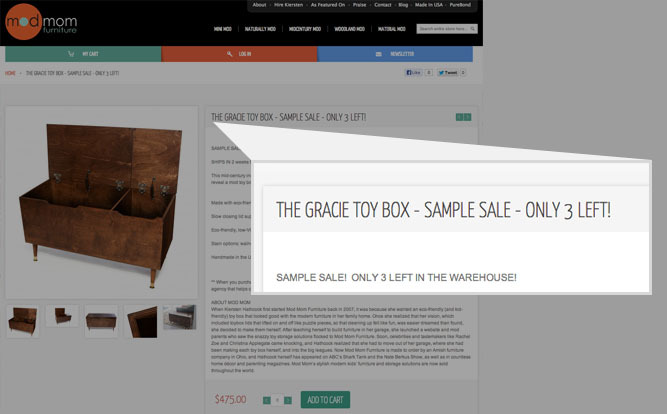 So how can you show credibility and add urgency to your site? How can you make sure these emotions are pulling on customers throughout the buying cycle… so they can’t wait to click your call-to-action button? Everything should be visually cohesive. Think of this in terms of a physical store. If nothing aligned with a central brand, you wouldn’t have as much trust in each individual product. However if you go into an IKEA, and you understand exactly what you’re getting with IKEA products, you have more trust in buying the products because you know what to expect. This kind of cohesiveness will increase conversions immediately, but even more importantly, it will breed long-term brand trust that will keep your customers coming back for more. People don’t want to be connected to a brand, they want to be connected to other people. People want to be treated like individuals, not as customers. By making your copy, product descriptions, headlines, promotions, and other content more personal you can create a higher level of trust by speaking directly to the customer, person to person. Use “you” and “your” in calls to action to inspire action. Speak in first person on your blog—using “I” rather than “we”—to give readers and customers a more connected sense to you and your business. Businesses like GoPro use this method to empower their customers and to inspire and motivate them, not only to buy their products but to use them and feed content back into the community. Using testimonials, social following, and other social proof signals will give customers the assurance that your product or service is well respected, widely used, or well known, which will ease anxiety and, therefore, help with conversions. There are multiple ways to do this, and each one should be thought about and tested to your unique use-case. 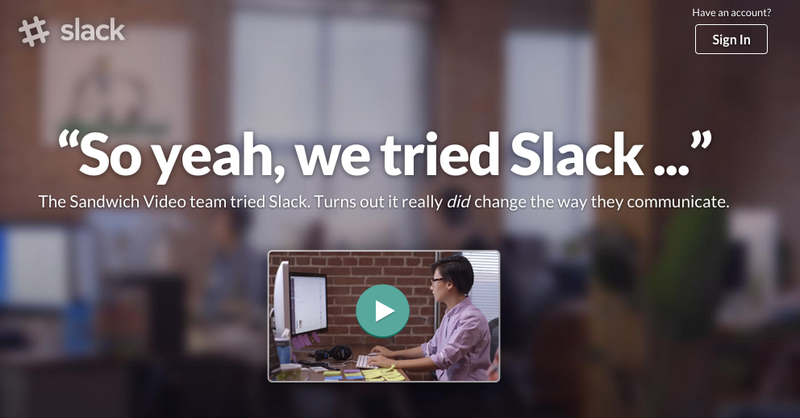 For example, Slack has used a video on their homepage showing social proof for their productivity tool. This is a way to not just show the effectiveness of the tool through features and uses, but through a real example. 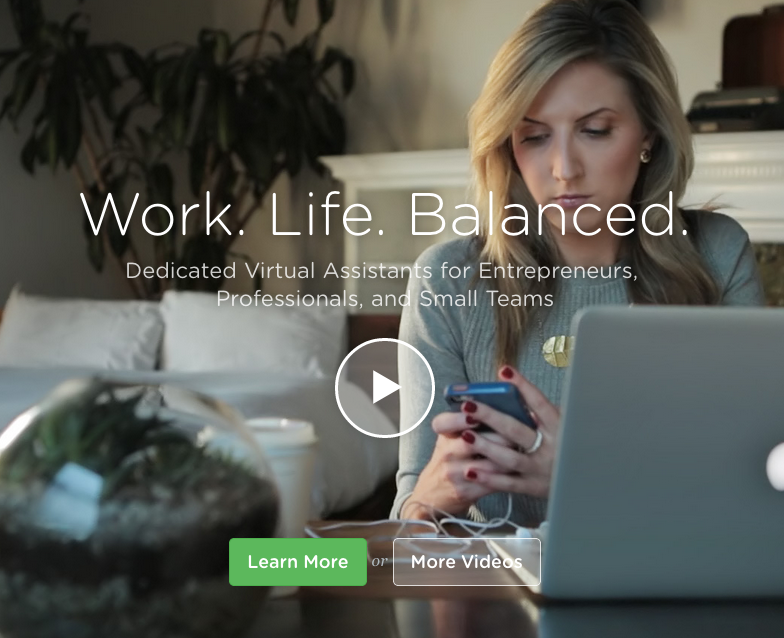 Zirtual has a similar focus with their homepage, showing rather than telling with a real-world testimonial from a successful customer. Urgency is the harder, less straight-forward factor to implement—though, by far, the most effective. Is the product on a strict timeline? Is there only a limited amount of hours left to buy? Is there a potential benefit to buying now as opposed to later, per a discount or shipping option? 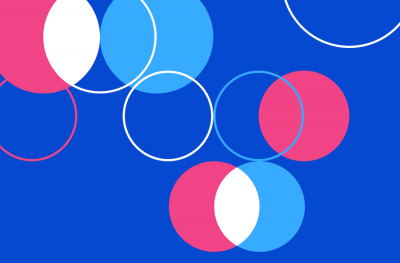 These sort of time-focused principles can dramatically increase the urgency of your offer without having to set up any other limitations around your product. There’s a reason infomercials used the “if you call in the next 30 seconds” line. Because it works psychologically. 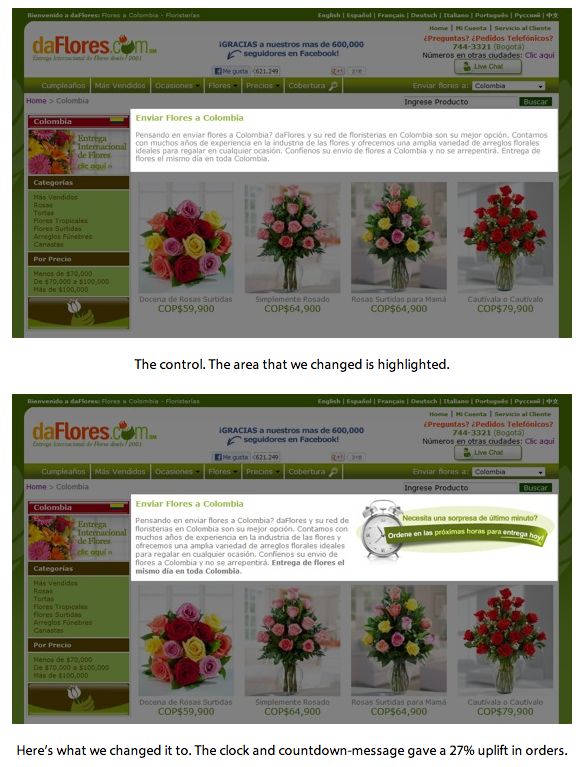 Conversion Rate Experts proved this as a very effective method by simply adding a clock to category pages on a Florist’s e-commerce site, with a countdown for same-day delivery. By creating a limit in supply, you can drastically increase the level of demand on a product, which increases the potential of quick conversions. If the test runs well, you can always add to the supply later. You can also charge a premium with a limited supply. 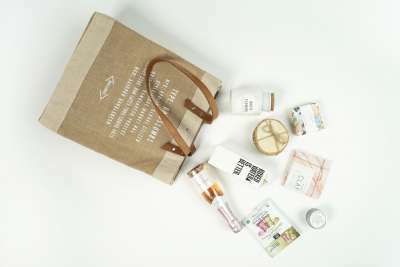 As Shopify show’s in this great example from ModMom, a sense of urgency can be put on a temporary product to ramp up engagement, and in some cases, even create media buzz. 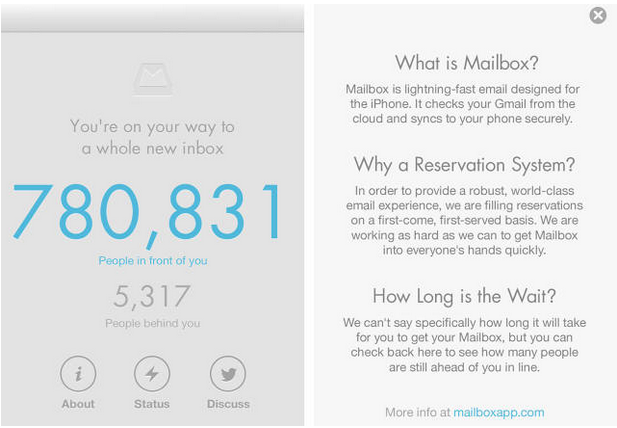 Exclusivity is one of those rare cases where you can ramp up demand and social proof in the same instance, as Mailbox did with their initial waiting list when launching their first iOS app. It shows that there is a limit of supply, increasing excitement to finally get through the queue. It shows a massive amount of social proof with 780,000 people all waiting in line to use the app. With this kind of a waiting list, Mailbox was able to gain media attention from almost every tech media publication on the web—and add to that list in the process. This kind of attention would never have been made had Mailbox not intentionally limited the supply on their app, amongst the other notable things they were doing to re-shape the UX of email. Every business, every site, every app has its own unique use-case and market. Never just assume that, because something worked for one company, it would work for yours. Test everything. Set up conversion tracking software to A/B test the different variances of your homepage and then go with the winning variant. If you change without testing, you could do more harm than good. Don’t let that happen, track, plan, test, and progress.